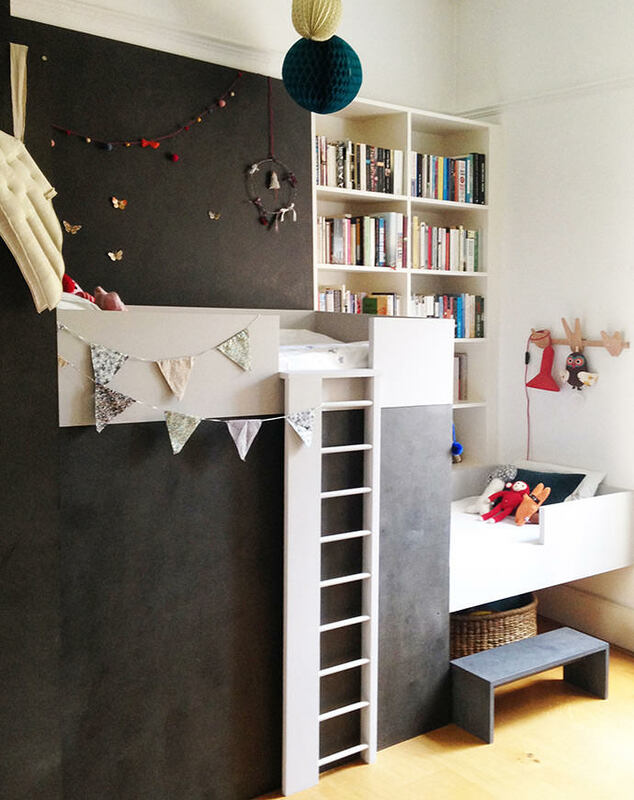 Here’s an awesome DIY kids’ space submitted by one of our readers, inspired by the aesthetic here at Handmade Charlotte to rearrange her kids’ rooms. Amalia and her husband Jody are both architects living in London. 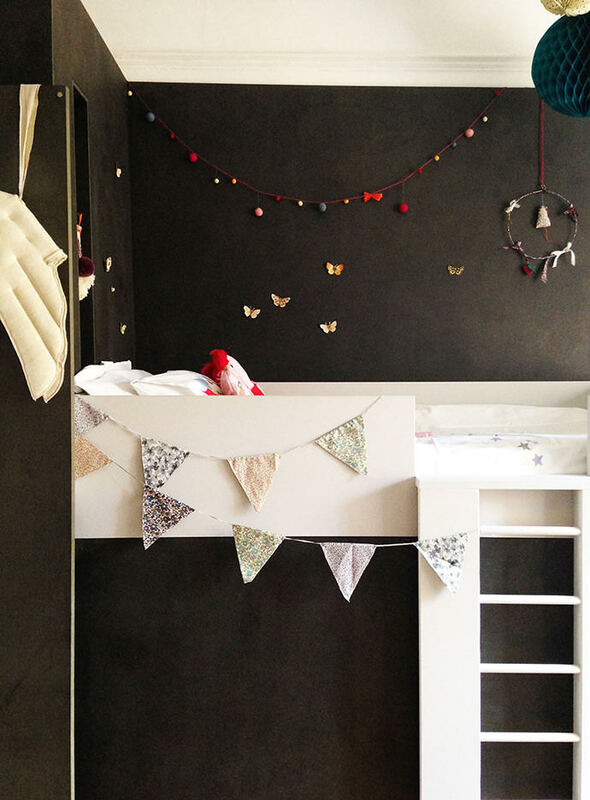 They bought their house six years ago and have been slowly adding to it—the DIY double bunks being their latest project. Enjoy! 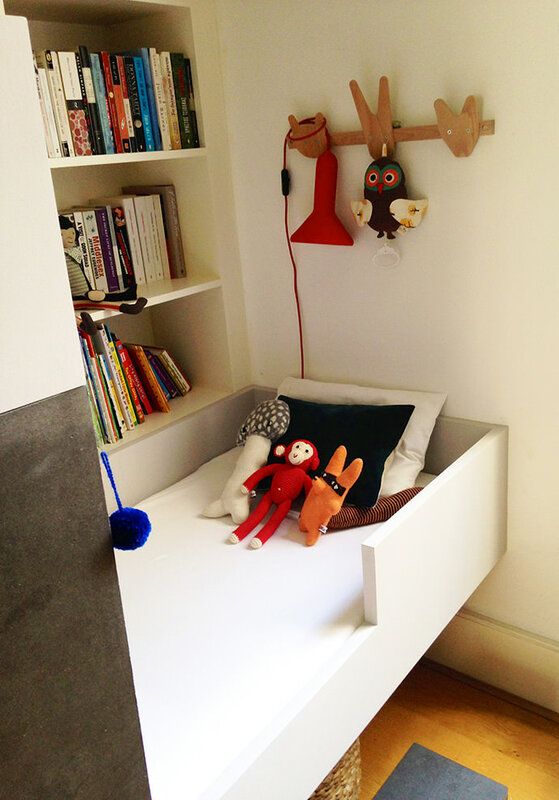 When the time came for our little boy to move from a cot to a bed, my husband and I racked our brains about how we can make more space for them in the room (such a precious commodity in London). Eventually, we came up with this solution and designed the two beds as integral to the already existing black MDF structure (there is a stair that takes one to the floor below). Our 4-year-old daughter sleeps in the upper bed and her 2-year-old brother in the lower one. They like the fact that there is a visual connection, too. This is so cool- I love the bookshelves worked into the whole design and the black/white clean look. Way to go, Amalia!